This article first appeared in Rover, an independent review of arts and culture on 25.04.2013 and subsequently on mybindi, an online magazine of South Asian arts, entertainment and lifestyle. Publishing a book is like having a baby. We’ve all heard that one, right? Do you recall where? I don’t. It’s an omniscient statement like don’t get wet in the rain, you’ll catch a chill. Or, don’t get involved with a married man, he’ll never leave his wife (not sure what they say for married women, hmmm). Don’t become an artist, you’ll starve to death. When I first came upon that book-equals-baby pearl, my immediate reaction was, “what a silly exaggeration.” Though not a mom, I have always felt that I know exactly what it is to have a baby. I was 10 when my busy, doctor mother brought forth my baby brother, and everyone’s life went for a toss. (This was small town India.) I think I had the most fun because of his arrival, but I certainly learnt that a baby makes incredible demands even as it brings leaping joy. 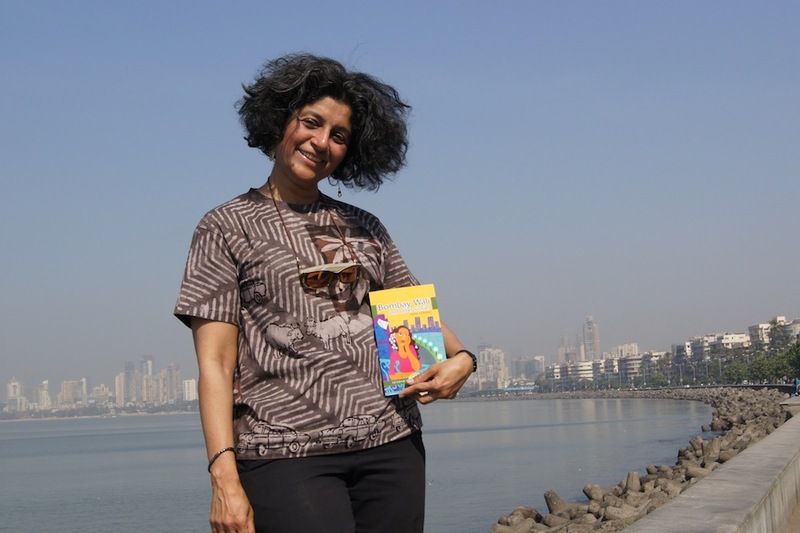 When I found a publisher, Guernica Editions, for my first fiction collection – Bombay Wali and Other Stories – after about eight months of marketing and as many rejections, I felt I had fared not too badly. My near and dear ones were thrilled and hearty with their congratulations. The book (baby) would squirm its way into a cruel, indifferent world in Spring 2013. This pregnancy was going to be almost as long as an elephants’, so I decided to put the end result out of my mind. The bleak and bleary November of 2012 arrived and brought with it the proofs for The Book. What! Already? By the end of the month a heavy cardboard box containing 50 shiny copies had arrived at my door. Having already contributed in innumerable ways, my long-suffering partner lugged it up the stairs. This baby was a premie. Great – I could take copies to India for my mother, brother and my artist friend who had done the lovely cover. We were visiting that December. Wait! – I had put a website address on Bombay Wali’s jacket. My partner and I quickly added a section to my existing site before catching the plane. “Hope your book becomes a bestseller,” e-mailed an innocent friend. “When will it come to India?” asked another one. Unfortunately, people, who will hopefully buy your book if they are so fortunate as to lay their hands on it, don’t know the difference between small and big publishers. For most, publishing is Penguin, Random House and Harper Collins; books travel far and wide, their authors taken on grand tours by their multinational masters with huge promo budgets. I had no such delusions for myself. Instead, I went overnight from glowing new mom to a neurotic mess. The book was here, but so what? When would it get to the stores? Would it even get there? What about Amazon, which was already slashing the pre-order price and had the number of pages wrong? Given the zillion books – prize-winning fiction by new and established authors, non-fiction about Climate Change! Economic Meltdowns! War in Afghanistan! 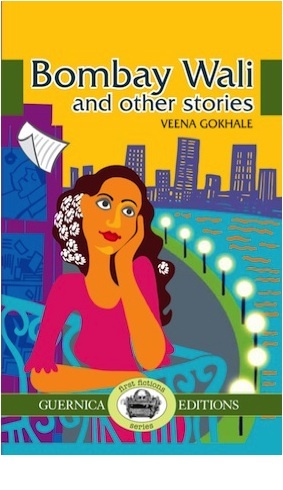 all kinds of trendy stuff that appeals to the average North American reader – who the heck will care about Bombay what and Veena who? Incidentally, Bombay walli means a woman from Bombay. Why wasn’t my style post-modern, I bemoaned. And with so many bookstores closing down, would I even get to read anywhere? Even if it got reviewed and somehow arrived in the stores and I got to read in public, no one was interested in short stories, right? Worried sick about my baby’s survival, it seemed to me that infant mortality rates for books by first time authors was as bad as that for sub-Saharan Africa. It’s only a book, Veena. Chill. I tried various tones of voice. Standing before a mirror. While doing Downward Dog. No good. I was as nervous as the proverbial Nellie. PS: I have become a zealous promoter. Bombay Wali must live, thrive even! Friends and acquaintances are buying and commenting favourably. Reviews and interviews have been promised and readings scheduled. Communities I belong to are taking it on. (It’s not my sole responsibility, it seems. Phew!) The book is on Amazon. I am not sleeping like a baby yet, but one of these days hope to. I won’t be blogging for a while because I got a grant to write my first novel – an intense, interesting, challenging and somewhat scary experience! I started writing this blog because I wanted to experiment with this form. I enjoyed doing it and some of you seem to have enjoyed reading it. Thanks for communicating and appreciating. The setting for the novel is a Canadian international development project unrolling in an African country. Against this backdrop, I plan to tell the interwoven stories of a range of characters from starkly different backgrounds, often with conflicting needs and desires. My aim is to make overt some of the contradictions, challenges and possibilities inherent in international development, and life! More than anything, I hope that this will be a compelling story and will actually get done! I started reflecting more deeply on international development and taking notes for this novel in 2007, as I was finishing up a two-year posting with a local NGO in Tanzania. Will be back in action next month. Ciao till then. When I first got here, a wannabe Montreal culture vulture – I threw myself zealously into festivaling. By year two, festival fatigue set in. Year three and I have picked my two favourites – the Montreal International Jazz Festival and Nuits d’Afrique (African Nights). These, like the other major music festivals, feature free shows; the jazz fest in particular gives away amazing music for nothing. Both have a great vibe. Yes there’s a crowd, but it’s made up of nice folk, there to enjoy music joyously and respectfully, often with the family members. At this year’s Jazz fest we were blown away by the nimble finger work of award-winning Cuban pianist Rafael Zaldivar and energized by the “we are having so much fun making good music together” gypsy meets techno sound of the Eastern European Slavic Soul Party. I discovered, and Marc-Antoine learned to appreciate Dan Bigras. A Quebecois rocker and former bar singer with a big voice, he put on a big, brassy, entertaining show. He coupled fun standards like Hit the Road Jack with spunky French numbers, among them a bawdy retelling of Red Riding Hood. I find French and Quebec music that I have come across really different from the music I know in English or Indian languages. The lyrics are poetry, or pieces of text, set to music. Often a kind of musical storytelling which covers a wide range of themes. Most singers write their own lyrics and music, and are then called auteur-compositeur-interprète. No wonder Montreal is home to the famous, English-language, auteur-compositeur-interprète – Leonard Cohen. The rousing festival finale had a Mardi Gras theme and featured musicians from the New Orleans area, among them, Acadian-French singer Zachary Richard. I was excited as I had been introduced to his music in French class! He was good, though it was the youthful Trombone Shorty‘s (he’s not short!) who stole the show. Man, could that guy blow! For Nuits d’Afrique we focused on four, emerging divas. Marc-Antoine faithfully went to see Chiwoniso, a Zimbabwean musician he has seen at the great Zanzibar Music fest – Sauti Za Busara (Sounds of Wisdom). I broke ranks to check out Dobet Gnahoré from the Ivory Coast who mixes styles and genres but is very rooted in African traditions. Singing, dancing, looking great (! ), exuding a relaxed confidence, she had us eating out of her hand at Cabaret Mile End, a venue worth checking out if you’re visiting Montreal. Both these ladies sing about African issues in several African languages. The festival “finds” were Hindi Zahra and Nomfusi (and the Lucky Charms). Hindi, a blues singer influenced by her Moroccan background and the music of that sound-rich region, has an original, contemporary style that weaves a spell . Nomfusi brings incredible passion to each number. Her style is influenced, among others, by legendary singer and civil rights activist Miriam Makeba. Nomfusi comes from the townships of Cape Town, and sings about life here in her native Xhosa. Langa and Khayelisha, the places she mentioned, were the very ones I visited in the recent past! It was a pleasure and a privilege to hear all these talented, committed artists, who infused our life with their vibrant music for a few days. Veen'around is powered by	WordPress 4.7.13 and delivered to you in 0.492 seconds using 45 queries.